The Army National Guard (Guard) and Army Reserve (Reserve) have implemented sexual assault prevention and response programs, but face challenges in areas such as staffing, budget management, and investigation timeliness that may hinder program implementation. Staffing: The Guard and the Reserve have staffed their sexual assault prevention and response programs, but their use of full-time and collateral-duty personnel has produced sizeable workload disparities. For example, the Guard allots two full-time staff to each state and territory, which provides Rhode Island — a state with about 2,000 soldiers — the same number of staff as Texas, which has about 18,600 soldiers. Similar imbalances exist in the Reserve, with one full-time staff at one command responsible for about 9,000 soldiers located in 16 different states, while the one full-time staff member at another command is responsible for 300 soldiers in 4 states. Officials said that collateral-duty personnel are used to mitigate workload disparities, but these positions are not always filled in the Guard, and the Reserve does not know the number filled. Without evaluating their staffing structures, the Army does not know the extent of such issues and their effect. Budget Management: The Guard has developed budget guidance on the use of funds but has not effectively communicated it to program staff, and the Reserve has not developed or distributed this guidance to its staff. Thus, Guard and Reserve program staff do not have information needed to develop their budget allocations and help ensure the efficient use of program funds. Investigation Timeliness: Data on Guard cases investigated by its Office of Complex Administrative Investigations (OCI) in fiscal year 2015 show that 57 percent, or 45 of 79 cases, took 6 to 9 months to complete; 39 percent, or 31 of 79 cases, took 3 to 6 months; and the remaining 4 percent (3 of 79 cases) took longer than 9 months. According to OCI officials, investigations take longer to complete because OCI does not have enough personnel to handle its growing caseload, which more than doubled from 2014 to 2015. The Army and the Guard have not reassessed OCI's resources since the increase in investigation requests to help ensure it has the staff needed to complete investigations within 3 weeks, as required by OCI guidance. Eligibility for follow-up or long-term health-care services paid for or provided by the Department of Defense (DOD) varies based on a Guard or Reserve victim's duty status at the time of an assault. Victims in the Guard and Reserve must go through a process, known as a line of duty determination, to determine their eligibility for care. The Guard has established an expedited process for making a determination within 72 hours of the process being initiated. However, the Reserve's process is lengthy, and in prior work GAO found that 80 percent of these determinations were overdue. Reserve officials said they plan to include an expedited process in the new Army regulation that is being drafted; however, Reserve officials did not provide details about the planned process or documentation about how it would be implemented. Without an expedited process to provide more timely decisions, sexual assault victims in the Reserve may continue to pay for their care up front, or else face delayed access to care. 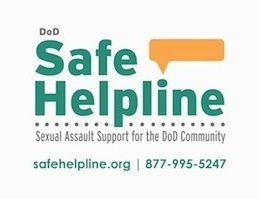 Sexual assault in the Army is often discussed in terms of its incidence among active-duty forces. Sexual assault is a crime that similarly confronts the more than 550,000 members who collectively serve in the Guard and Reserve, who together reported 604 sexual assault incidents in fiscal year 2015; however, sexual assault is generally an underreported crime. Congress included a provision in statute for GAO to review sexual assault prevention and response in the Army's reserve components. This report addresses the extent to which (1) the Guard and Reserve face any challenges implementing programs to prevent and respond to sexual assault; and (2) medical and mental health-care services are available to victims in the Guard and Reserve. GAO reviewed DOD and Army policies; administered two web-based surveys; conducted site visits to four installations; and interviewed officials. GAO is making six recommendations, including that DOD evaluate program staffing structure, communicate and develop budget guidance, assess the Guard's investigation timeliness and resources, and develop an expedited process for determining Reserve eligibility for healthcare services. DOD concurred with three recommendations partially concurred with two, and did not concur with assessing Guard investigation timeliness, stating that the Army has limited authority over OCI. GAO continues to believe that actions are needed to fully address the two recommendations, and redirected the OCI recommendation to the Guard, as recommended by DOD. *The US Government Accountability Office (GAO) is an independent, nonpartisan agency that works for Congress. Often called the "congressional watchdog," GAO investigates how the federal government spends taxpayer dollars. The head of GAO, the Comptroller General of the United States, is appointed to a 15-year term by the President from a slate of candidates Congress proposes. Gene L. Dodaro became the eighth Comptroller General of the United States and head of the US Government Accountability Office (GAO) on December 22, 2010, when he was confirmed by the United States Senate. He was nominated by President Obama in September of 2010 from a list of candidates selected by a bipartisan, bicameral congressional commission. He had been serving as Acting Comptroller General since March of 2008.